The Catit Senses Massage Centre has been developed to appeal to a cat's sense of touch. It contains various elements which all help to massage, groom and clean different areas of your cat. The gum stimulator is there to be chewed, and as they bite it it helps to clean the teeth and massage the gums. The Ripple Massager intensely massages the head, face and neck areas, while the Body Stroke Groomers help to massage and groom the rest of their body area. It also has an Accu-pressure Mat which provides a pressure point paw massage. The Senses Massage Centre also includes catnip to give the toy an even more appealing presence for your cat. 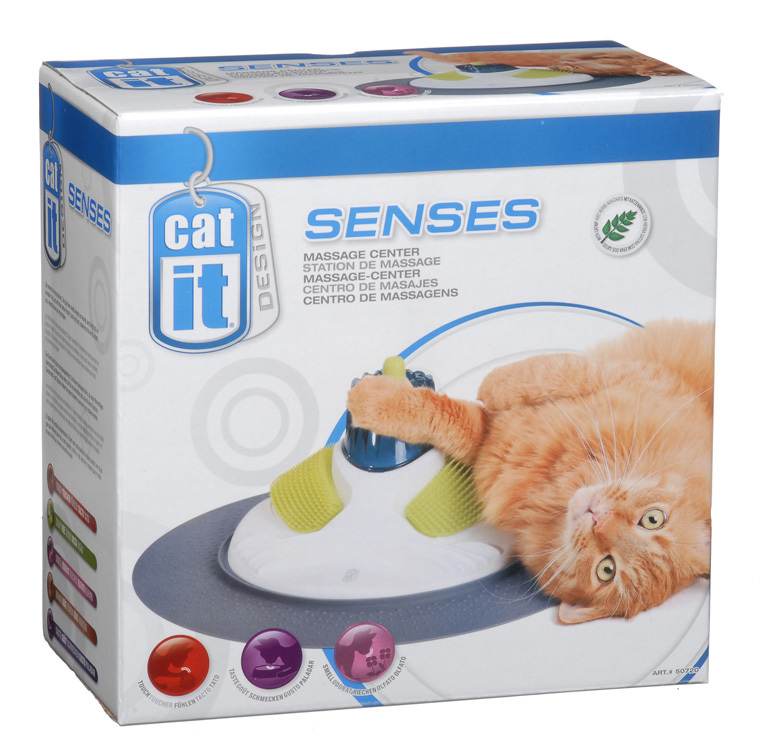 There are currently no questions for Catit Senses Massage Centre Cat Toy - be the first to ask one!